Months ago, I read a book called The Girl With The Dragon Tattoo and weeks later managed to watch the movie based on the book. The book was really good. The movie was okay. The novel is a few years old and I was pleasantly surprised to learn that the book has now become an international phenomenon and has climbed to the top of most best-seller lists in the world. The book starts with two story lines, going back and forth, one about Mikael Blomkvist and the other about Lisbeth Salander. Both are struggling with personal demons, both wants the truth, both wants justice, but one wants revenge! Mikael Blomkvist, a crusading journalist falsely convicted of using forged evidence to libel a businessman is sentenced to three months in jail and forced to resign from Millennium, the magazine he founded with his friend and occasional lover, Erika Berger. Blomkvist has six months before he serves his sentence and in the meantime he is hired by a wealthy magnate Henrik Vanger, who wants to get to know more about the forty-year-old disappearance and possible murder of his niece Harriet. The Vanger family is full of dark secrets, and Henrik thinks one of them is responsible. 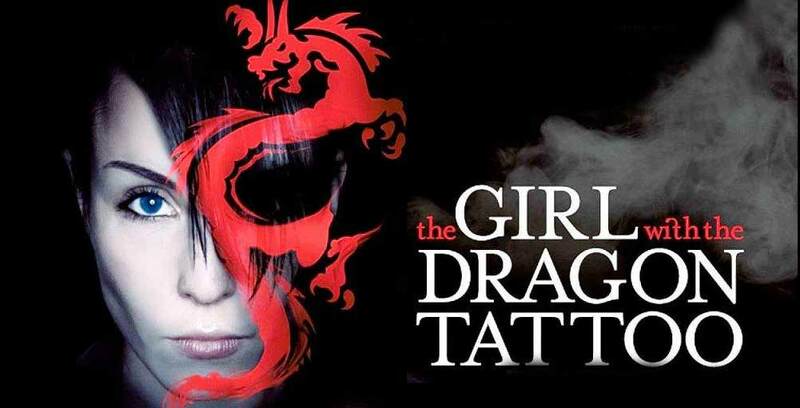 Young, pierced and tattooed, Lisbeth Salander is an interesting character and a brilliant computer hacker. She is fierce, antisocial, and very direct. She does not trust many people, and there appears to be trauma in her past. Lisbeth is first hired to investigate Blomkvist, but ends up helping him with his case instead. I enjoyed reading the book very much. A girl murdered, unspeakable family secrets, contractual obligations, corporate warfare. What's not to like, right? It was suspenseful, intense, violent and sometimes very graphic, I zipped through the pages in no time. The book has been criticized for violence against women. I do not think that is the case here. Generational statement on sexual violence against women and society's acceptance was tackled realistically and in the end "justice" served. This is the first book of a trilogy often known as the Millennium Trilogy and was written by the Swedish Author Stieg Larsson. The second book is The Girl Who Played With Fire , which I am reading now (kindle version) after watching the movie few days back. The third is The Girl Who Kicked The Hornet's Nest . Stieg Larsson was a journalist and a politician, and wrote the novels in his spare time. Some say he never planned to publish the novels but later changed his mind. We would never know, as Larsson passed away a year after this book was published. He never saw his other books published, nor did he see any of his books taking the world by storm. It is worth noting that, Stieg Larsson also became the first author to sell more than a million e-books on Amazon.com. It seems Hollywood is making a remake of these Swedish movies, and Daniel Craig has been cast in the role of Mikael Blomkvist. Some people are not comfortable with this, as Hollywood has a tendency to mess up remakes. Time will tell. If you like contained murder mysteries, you will definitely enjoy this book. Highly recommended. Yes, Lisbeth is one hell of a character, agreed !!! I just watched Girl Who Played With Fire last weekend and am reading Girl Who Kicked the Hornet's Nest now...the books keep getting better and better and so does the movies. It's not often movie remakes of novels are this good...probably because it was not a Hollywood movie! Hollywood would not be able to capture Larsson's Swedish essence of the movies or the books at all!! I'm waiting to read the books before watching the movies. Bro you making me to find some more time for these all books! and kindle is much in need! comon! i likes this post! hope to see much more of these stuffs!